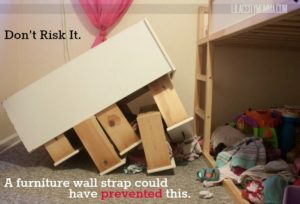 A wall strap, an L bracket, screws through the backboard of the dresser all could have prevented this accident. Kids will be kids. They love to climb and they will whenever they get the chance. If the dresser is top heavy either because of the child climbing on extended drawers or the contents, it is going to fall over. No matter how many times you tell them they will climb. Stopping dresser drawers falling is actually quite easy. You just need to take the time to properly secure them. It does not even cost that much either. There are several ways to secure the cabinet so that it will not fall over. One way is to securely attach a cord to the wall and to the back of the dresser. Make sure you screw a strong hook into a stud and not just into the drywall. A screw will easily pull out of the drywall. Same goes for the back of the dresser. Some people like to use L brackets which work really well. The cabinet cannot be moved at all once installed. Another approach is to use long screws through the backboard of the dresser into the wall. Again make sure the screws are screwed into the studs and not just into the drywall. Most people will use a stud finder to help them locate the studs behind the drywall. Usually they run vertically up the wall. For more property management posts, click here. What training does your building manager need? How much past experience does your property manager have? Does he have experience with the systems that you use? For example, maybe you’re using a new computer system to keep track of all work activities. As well as reporting of expenses. You may want to train him on these items. There may also be training required on specialist pieces of equipment. In addition a building manager is interfacing with your customers all of the time. They represent the owner of the building in all things. Items such as customer relationship management. If you are getting lots of complaints from tenants, you may want to find out what the fundamental issues are. Consequently you may want to initiate some sort of training to deal with it. The building manager really represents you to your customers. As a result as a property owner, it makes sense to hire the best! Every buildings needs are different. High rise vs. townhouse condo. Residential vs. commercial buildings. All have different kinds of equipment that are used to maintain the property outside. As well as to maintain the indoor common elements of property. This could be as simple as making sure that they’ve read all of the instruction booklets and maintenance booklets. Have they developed and adhere to a maintenance program. Local by laws as well as State or provincial laws change from time to time. It could be as simple as making sure that they read all of the notices. Or for a particularly complex piece of legislation, there may be a one-day seminar training session. Accounting software updates occur all of the time. CRM systems or customer relationship management systems are also upgraded on a regular basis. Anytime there is a change property managers who enter information into the CRM system should be re-trained. It could be as short as a one hour seminar. Or you may need a more in-depth session for more complex updates and changes. Equipment training is also valuable to ensure that the equipment is handled properly. Focus on safety for the operator as well as individuals that may be in close contact with the equipment. Communication skills on the job are extremely important in dealing with prospective clients, clients and owners. Can your property manager use better communication skills in terms of verbal and written activities? There are one-day training seminars available. There are always special needs of the job that require training from time to time. Hence you have a choice of either letting the property manager or the person operating equipment etc. experiment. Also you can train them properly so that they will operate it in a safe manner. In addition avoid accidents that could damage the property. Train the operator. For more information about building management and property management services, click here. Superintendents can also update reports online to provide a status to their owners. As well as to the tenants to show them when various repairs will be made and what projects are ongoing. For large companies this is particularly useful information. Especially when tenants call to find out about the status of their project. They can logon to the online site and review the latest status about issues they may be concerned about. The same applies to owners and other interested parties that have access to the system. There would be many less phone calls as a result. This saves everyone a great deal of time. Reports are automatic and people only need to discuss details if there are questions on any updates. This is customer relationship management for property managers and owners. CRM in short for PM. Large apartment buildings with many units and property managers managing many dispersed buildings will find they can save a lot of time by being online and reporting information quickly and easily. Use smart phones to do updates and trigger reports. As long as you have a data connection or Wi-Fi connection, smartphones and tablets can be used to create updates as well as view results online. This is particularly important. You can immediate answers on site or during a phone call based on a report you can pull up on a smart phone. We are writing this report using a smart phone for this post about online property management. In fact we are using an iPhone, using the dictation Siri feature to dictate the text of this post. It is an awesome feature. Use Siri to update reports and results of repairs or projects. There is no need to type, just dictate your status update! This is the way of the future for this industry and others. If you are not already using online reports, with access by tablets and smartphones it’s time to get on the bandwagon. Significant savings can be achieved as well as significant improvements in communication between owners property managers and tenants. Although there may be an initial up front cost to get started and you may also want some customization, there will be a net savings overall with better customer relations thrown in which can be invaluable. There may be some resistance to using these new tools by the property manager or the onsite superintendent. Once they learn that it can actually save them time and communicate more easily, they will be willing to quickly adopt online property management techniques. We also find that the larger companies are more likely to embrace these new technologies as compared to small rental companies. They simply do not have the resources to devote to developing, implementing and managing online property management systems. If you are a renter, this might be something to consider when it comes to renting a property. An estate manager typically looks after the financial planning of the estate and the administration of the estate of the deceased person. Specific types of estate managers may also look after significant property assets. These assets may consist of investments in the markets. They may consist of property that must be managed. Or they could consist of business interest that must be kept running. We may not all have a home like this one. But our estates are still worth something. Manage these assets properly according to your wishes. Many employee jobs may be at stake. Along with their livelihood and their families if there is a company of some kind involved. The property manager or estate manager must account for all income from tenants. Account for all expenses for the property. Provide reports showing the income statement. Which outlines the income and expenses and the resulting profit and loss situation for the property. Delegate work to the property management company that was originally in place. The estate manager may only need to liaise with them to keep everything running smoothly. They must also be well acquainted with the estate planning techniques. As well as property management in the city or state or province that you live. There are significant requirements for estate managers who are also property managers. Many estate managers will hire property managers to look after the property assets. There may have been a contract in place for example with the deceased and the property manager. Update contracts as needed. The skills required are typically not something that many estate managers possess themselves or within their company. The services will be contracted out and it is important for the administrator to understand this. 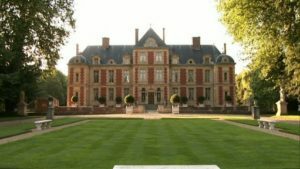 It is also important for the heirs of the estate to appreciate the complexities of the estate. In the vast majority of cases, the estate manager is a member of the family. Wind the estate up in an organized fashion with the guidance of the lawyer for the family. Also the accountant if there is one. Pay all taxes from the estate. As well as from the deceased income prior to their passing. If the estate is complex and significant value, some families will opt for an unbiased estate manager. The fees associated with this sort of service is expensive. But sometimes warranted based on the skills and services that are provided. If there are many assets it may be necessary to hire an estate manager. They will look after all of the details. Families need to be prepared to either do the work themselves. Or to hire a professional and pay the required fees. It is also an emotional time. It is difficult to make decisions that involve family heirlooms as well as investments and property. Someone who is separate from the family and not emotionally involved is sometimes better equipped to handle these affairs. They can make recommendations regarding various decisions that need to be made. Finally the services that many people need are legal advice. They also need accounting advice, investment advice and tax advice. The advice should cover the best approach to managing the estate as well as winding up the estate. Pay the tax man as well. Unfortunately this is one of the things that a lot of people forget about. They then find the estate owes more money than everyone thought. When you hire a property manager, property management qualifications must be taken into account, in addition to many other attributes. For example the cost is an obvious one. The experience level of the property management team is another. The services that they will offer to you are another. This assessment can sometimes be quite difficult. It can take a lot of time with competing interests and different opinions on the board. However the important thing is to do a thorough job. In the end everyone agree on the best company for the job. Ask for other properties that are being managed by this company. Interview the owners to confirm service levels etc and other areas that you may be interested in. Prepare for interviewing property managers for the job of managing your property, or condominium as part of a board decision. It is important to make sure that you list all of the criteria that you are going to use to rate each property management firm. The board must review and agree to the requirements. Everyone will have a variety of opinions. It may be difficult to reach a consensus. But better to do this before the request for proposal is issued than after. The board needs to make sure that all of the requirements are included that satisfy everyone. Otherwise it is back to the drawing board and a waste of everyone’s time. The property management qualifications include services offered. Also price for those services, experience levels and knowledge of the current conditions of your property. There are also legal requirements in the jurisdiction where you live. Some board members, and owners will prepare a spreadsheet listing all of the services and features and costs. They will write down all of these requirements. They will rank the level of adherence to each of the criteria that they are looking for. Some issues have more importance than others. Give these a high-ranking. It is much easier when everyone has discussed and agreed to the rankings ahead of time. Document everything including all decisions. They should have a detailed list of criteria that they will use to rank and interview property management companies. This is protection for both the board itself, the property manager and of course the owners of the property. If the board does not take this step and the property manager they hire fails or does not perform, at least you can go back to the documentation to confirm where you went wrong. This is one way to avoid the same mistake the next time around. The services that are included will depend on whether this is an owner occupied building, a rental building or a mixed use building. Each group has different objectives and it helps to keep them separate. For example the condo board is responsible to the owners, whether they live in the building or rent their units out. They may need a separate company to manage the rental of the units and the maintenance of the interior of the units. It is not a good idea to have the same management company managing the condo and managing the rental portion of the business. Sometimes there can be some cost savings, however the job of managing a condo is much different from managing a bunch of rental units. 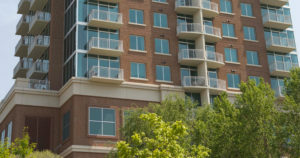 In mixed use buildings there will often be a condo board to manage the condominium corporation and another board made up of owners who rent their units. This second board will be responsible for managing the tenants and the property manager responsible for the interior of the rented units. This board may also represent this subset of owners on the condo board as well. There can be some conflict in these situations since rental unit owners do not have the same objectives at all compared to people who own their units and live in them. The qualifications for property management are pretty loose. Just about anyone can set themselves up as a property manager. The big companies and the serious companies will have trained professionals on staff and people with lots of experience. Some of the smaller companies will hire just about anyone who has had some experience. You need to have experience dealing with tenants. Someone who is handy at looking after property or is available for the job. Smaller companies and startup property management companies may be light on both experience and qualifications. In addition the board or owners of the property may also not have a lot of experience. They are depending on the property management firm to have the qualifications. They need experience to help them keep everything legal as well as run the property efficiently and cost effectively. What are the Qualifications for Property Management to Look For? The questions most owners of rental buildings and condo board members ask themselves is what should we look for when we hire a property manager. What services should we expect. On the other hand these companies have an objective to keep everything running smoothly since that maintains their income. But at the same time they want to keep their costs to a minimum. Many condo or apartment management companies will charge a flat rate per apartment to rent out the unit, to manage the unit and collect the rent. Some will charge a finder’s fee for renting a unit while others will include this cost as part of their per door fee. Attending board meetings or owner meetings may be included in the per door fee or they may be extra. Collection services and attending court proceedings may also be included for those situations where tenants skip town and do not pay the rent. Your property manager’s expertise and qualifications may be a factor in this equation. Some government jurisdictions are also enacting laws requiring boards and owners to take courses to train them in these areas. They do not always have much of a say in many decisions. The idea is to educate the board, investors and property managers on the functions of a condo board. This includes regulations regarding renting of units and the functions of property managers. The objective is to help everyone avoid costly mistakes. As well as misunderstandings that could cause difficulty for many owners. Rent increase legislation is popular in many jurisdictions by politicians who are going after the popular vote. More people rent than there are owners. They do not really care about the investment needed to maintain a building. Rents will be allowed to increase by a calculated percentage each year based on many factors. Rent controls and rent legislation is another area that property managers need to have expertise in. Smaller companies cannot afford to have someone on staff who is familiar with the methodology of how rent increases are calculated. As a result this could be another additional cost. The last thing a landlord wants to encounter is a charge by a tenant that rents have been raised too high. They do not want to have to rescind some of the rent increases. It is costly and looks bad for the landlord. 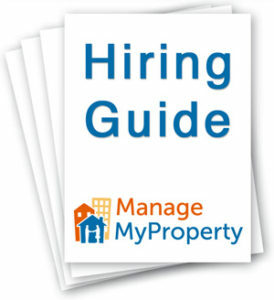 Check out the qualifications for property management carefully before you hire a property manager. Take the appropriate educational courses to set yourself in a good position. Real estate sales management involves many different aspects beyond the obvious of selling a home, setting it up for sale and managing open houses etc. for example some clients have to move right away and they leave the home vacant, which in some ways is a good thing since there is typically less clutter. The agent may request that the owner do a couple of things to improve the home. The objective is to enhance the opportunity of selling this house for the price they are looking for. At the same time they must also ensure that the home is looked after if vacant. It must all insurance requirements to keep the insurance valid. A home should also looked lived in or at least taken care of even when it is vacant. Sometimes a real estate agent must also look after this activity themselves. Or subcontract these services if they want to get the house sold. This is just part of the job on the way to a successful sales career. We will discuss each of these in a little more detail. Note that the person selling the home i.e. the owner will have to decide how much of this they decide to do. How much they will look after vs. how much they will ask the real estate agent to do on their behalf. Some agents will automatically include this effort and even furniture rental in their fee. While others will suggest that the owner pick up these extra costs. The last thing that buyers want to see is a messy home. Which they not only will have to clean if they buy it. But it also indicates a general attitude of not taking care of the home. Your agent will push you to clean up this situation. They may even arrange for cleaners at your cost to come in and clean up after you. The same applies to the outside curb appeal. Nice landscaping, a newly cut lawn and healthy plants indicate that the current owner cares about his or her home. if you have moved and the house is empty it is much harder for a prospective buyer to visualize what the home looks like with furniture in it. Some agents will place furniture and some pictures in the home to help buyers with this issue. They may already have furniture of their own they use for this purpose or they will rent them for you at your cost. Real estate management may include this kind of staging to help sell a home. 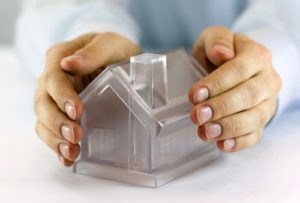 this item is particularly important for people who have been transferred and have had to move before the home is sold. 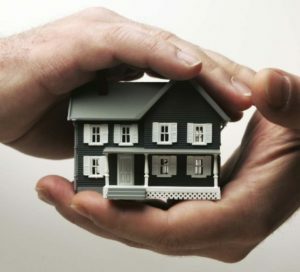 In order to maintain your insurance on your home, there will be specific things that must be done. For example many will ask that the water be shut off and the house checked once a week. Checks more often may be required if the outside temperature is below freezing. Real estate agents want to ensure there are no delays in selling a home due to damage cause by water leaks and other problems that occur from time to time. Real estate property management can encompass more than just these items, however we decided to focus on those associated with selling a home. Property portfolio management must be considered for those organizations who have a large suite of properties to manage. This may consist of several buildings in several cities. Each city represented by a property portfolio manager. They are reporting as a unit on the set of properties they are responsible to manage. On the other hand for large companies managing properties that consist of rental properties for consumers as well as commercial properties. There may be a different organizational approach to managing these properties. Divide portfolios into commercial, residential apartment, residential homes etc. It depends on the quantity and the location of these properties. There must also be on site or at least in city property management personal to take care of local details. Divide into portfolios that represent types of rental properties. Depending on the size of the company and the amount of specialization that is desired, this could mean the portfolios are divided between commercial and residential for example. Divide commercial by the type of commercial property such as mall or big box type commercial properties. Office buildings that have predominantly office workers with a small amount of store fronts serving that office building. The type of tenant varies a great deal and the needs of the buildings are very different as well. Note that the property portfolio management approach still requires an onsite property manager to deal with day to day issues and solve immediate tenant concerns and issues, including rental of units and approval of prospective tenants. It can become much more complex when you have multiple cities involved. Also a mix of commercial tenants with residential tenants. If a building is predominantly residential with a few commercial stores on the first floor, does the residential property manager look after the commercial tenants? Or does the commercial property portfolio management team look after them? Turns out the answer is probably yes to both. Local superintendents will look after the entire building. Commercial property portfolio management will look after all contracts with the commercial companies. The residential property portfolio management will view this lease of the space by commercial customers. This is just another tenant in their predominantly residential building. Most companies will need to work through these details. While ensuring that they provide the best service to their customers and maintaining a profit for the owner. Online tracking of rents, expenses, work orders etc is further complicated when there are multiple buildings in multiple cities to manage. Senior managers want to be updated each morning with a dashboard. These could include rent collection status, delinquent rents, outstanding work orders, value of the work orders in terms of cost and so on. They also want to be able to drill down and examine details on any given report. Data networks that provide connectivity to these systems from corporate offices as well as remote superintendent locations. Rental managers must be able to have access to rental contracts. Also systems that will allow them to track tenants as well as report up the line to senior managers. For larger companies they may even have an IT department to manage everything. This includes email, data storage, accounting systems, PC needs, smart phone needs and telephone requirements. Every rental property management company needs these services, however the size of the company will dictate how sophisticated the IT system will be. For more posts about property management topics, click here. Property management systems can make a huge difference. In terms of both managing multiple properties and providing information to your clients. Information at your finger tips has been the desired approach for some time for property managers and owners. Property management systems are available online on your smart phone. Many property managers can now answer questions instantly using their smart phones. Access to rental contracts, work orders, setting up tracking lists and much more are available to the superintendent. But also to the management team responsible to manage the overall set of property investments. These sorts of applications save a great deal of time which in turn saves money. These systems use to operate on stand alone computers. They now run on servers. Access the information from almost anywhere remotely. From systems that are located at the actual rental building on a wireless basis. Imagine you have a tenant with a problem in their unit. Log the problem immediately. Provide status updates immediately. Also issue a work order to have the issue dealt with right from your smart phone. Report the problem resolved. Also take pictures and transmit them immediately. Close the issue using a smart phone application. All information is available to management and their customers instantly. Modern property management companies are adopting this software. They are providing their employees with the latest capabilities to their customers or clients as well. Now they can provide online reports that management has reviewed to their clients as well. This changes the total relationship with the customer and the tenants. It makes it much easier to manage all properties. Property managers also must report to their owners. Also to the investors that have invested in the property that they are managing. This is extremely important if they are to retain contracts, year over year based on relationships with the owners. They must provide real time summaries and answers to their issues. They provide up to date and accurate information regarding rents collected, expenses during the month. Also year to date comparisons to the budget are the usual kinds of reports that most investors will look for. Property managers produce annual reports. It is one of the most important documents. It may be subject to an audit. They provide the information needed by owners to file their income taxes. This information must be accurate and meet all federal tax guidelines. Otherwise owners could end up paying more tax than they would normally have to pay. Condo boards and property owners often request audited reports. This is to satisfy themselves that all transactions are accurate and allocated appropriately. This provides a sense of confidence to the owners and the investors that their assets are being managed properly. The tax department may also look on claims etc more favorably. Many people live in rented apartments. They are dissatisfied with the way their buildings are being managed. They report that some item needs to be repaired and then nothing is done. Not only is it not corrected. There is no record of any report being made. They do not have online access. Use smart phone access to online systems. As a result complete reports immediately. In addition pictures taken and uploaded. Track the issue easily. For more posts about property management, click here. Why do owners of registered condo buildings need to have building management services? For both the condo building and building management services for the rental operation of the same building? This is a situation that is actually quite common. Anyone who is either an investor or resident in the building that is a registered condo should know the difference. We will try to explain the difference between the two. In addition hy you need separate building management services for each one. Basically there is a business entity that is responsible for all of the common elements of the building. This is the condo or the strata as it is referred to in some locations. All owners participate and can vote on various issues that the board of directors will bring to them at a general meeting. In addition all owners are eligible to be on the board of directors as well. They are responsible for setting a budget, establishing and maintaining an adequate reserve fund. In addition providing the owners with at minimum an annual report of all financial and operational status. The board will usually hire a building management service or property manager to look after all of these things on their behalf. It is up to the representatives of the building management service to fulfill and carry though all of the boards requirements. Provided that they are legal of course. They must comply with the bylaws of the property or condominium. This is a pretty standard example of building management service. At some buildings a large number of units may be rented out to tenants. If one owner happens to own these rental units, they may hire a building management service. This company will manage the rental of their units, collect the rent and provide upkeep to the interior of the units. They have no responsibility of looking after the exterior of the building. They work for each individual owner. In addition they are responsible for managing the tenant or tenants that rent units in the building they are in. Often there are multiple owners who own rental units in the building along with people who own and live in the building. The rental unit owners sometimes will band together to hire one management company. This company will manage all of the rental units in an attempt to reduce their costs overall. These can be two separate building management services or sometimes they can be the same company. Usually there are different people within the building management company responsible for the condo side and the rental side of the business. There is no business or legal relationship between the condo and any tenants that are renting. Or between the various rental building management services. They are separate entities and all must abide by the condo bylaws etc. Separate financial reports are needed for both entities to ensure that there is no mixing of accounts and payments. Many people find this confusing especially at meetings of the unit owners, however it is important to keep these things separate and distinct. For example if a tenant is causing problems in the building and other owners are complaining, the complaints must be given to the condo building management who in turn will contact the owner of that unit. It is up to the owner of that unit to deal with his or her tenant or the building management company that is managing his or her rental units. The rental building management service will need to then follow up with the tenant to ensure that no more complaints are received. Hope this helps to explain one aspect of building management service. For more information about building management and property management services, click here. Building management service provided by property management companies can vary a great deal. If you are an owner looking to hire a company to provide you with this type of service, there are many issues to consider. We will cover a few of the building management service items that owners of single family buildings all the way up to multiple unit buildings should consider. You may want to prepare a complete list of services that you require. Then request quotes for these services before hiring a building management service company. We suggest that owners who are planning to hire a Building Management Service company to provide these services receive very explicit contract guidelines. They can review and understand them, prior to hiring a company of this type. The contract should state the specifics of what will be done in as many specific situations as possible. You may require the company to contact you prior to spending any money over $50 for example in an effort to control the costs. You might provide them with specific guidelines for the kind of tenants you want to have in your building. They will attempt to carry out your instructions provided that they meet local and state laws. Specifics such as time frames, cost and actions to be completed by a specific date should be included as much as possible. Building manage service and contracts covering these services can be very general. It is always a good idea to check with the company providing building management service to you on a regular basis. Request status reports and monitor financial reports on a monthly basis at a minimum. Once you gain confidence with the company you have hired, you may consider relaxing this level of vigilance. In our experience it is a good habit to get into where you monitor the expenses and status reports once a month. Letting the building management service know that you review the reports etc will also help to keep them vigilant as well. Less specific items should also include your rental strategy. For example what is your rent level going to be, how much will you increase rent each month? Will you rent to only seniors or people with kids or people with pets. 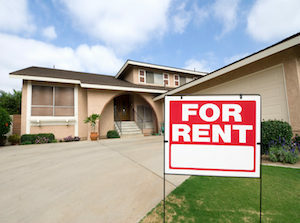 There are all kinds of rental strategies to consider. You may decide to leave a unit vacant while you hold out for a tenant willing to pay a higher rent and take care of the place. This can mean less damages and lower cost to you the owner and to the property manager as well. Discuss all of these sorts of items with your manager and write them down so that everyone is clear on your strategy. Building management service can be provided for individual homes, for apartment buildings that are condos. Also for rental units that make up the total building or part of a building. There are lots of combinations and we will discuss one example in our next post about the services that property managers can provide. 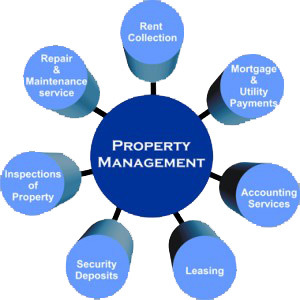 Property asset management is an important part of the property management job. Not only is property management responsible for managing tenants, renting units, paying common expenses and letting contracts to complete repairs. They are also responsible for managing both fixed assets as well as non fixed assets. Rent units and sign contracts with tenants. In addition collect rents on a monthly basis either by check or by electronic means. This is the common most understood portion of property management. In addition keeping track of all of the assets is part of the job. Completing an inventory every year or more often if needed is also necessary part of the job. Replace missing items. This can represent an additional cost to the owners. As a result of an inventory audit of the asserts, further action may be needed to investigate chronic problems. Property asset management is another major part of the job. Managers prepare asset reports on behalf of their clients. Management of fixed assets includes repairs, painting, and plumbing etc. this includes both interior and exterior portions of the building. Management of non fixed assets also is needed for assets in common areas of the buildings. Also assets in each unit that is rented and assets that are needed to allow for properly maintain the building. These items could include tools, ladders, cleaning supplies and supplies typically needed for routine repairs. This also includes items such as refrigerators, stoves and cook tops, dryers, washing machines and dish washers. Common areas might have chairs and tables, a stove and refrigerator in shared common rooms or club houses etc. Record repairs and purchases as expenses. The larger items accounted for in the asset management system being employed by the property management income company. This is required to keep track of how much money is spent on various categories. Also for the larger items that depreciate as well. This is necessary for tax purposes. Take the appropriate tax deductions to avoid paying too much tax under the tax law. Each asset may be in a different tax class. Reflect any repairs and changes accordingly. Property managers need to have all of this material recorded in the asset management system. In addition contracts between the owner and the property manager must stipulate the requirements for tracking purposes. Don’t forget to include reporting of income and expenses. Make information available to the owners accountants for audit purposes. As well as for preparation of the tax statements at the end of each year. Include reports on a monthly basis as well as on an annual basis. Most will include rental income, rental expenses, rental records, lease records, and income statements. In most cases the report will include or report the value of assets at the beginning of the period. The additions and removal of assets during the period. Then the value of the final assets at the end of the period. The property manager should also be able to report an inventory of all assets as well. This is pretty standard for property managers and expected by client owners. Many owners will review these reports regularly as part of their due diligence. They provide an over view of the property that they own. Owners will also query anything that looks out of place and any large expenses that may be reported. Property managers should be prepared to deal with these questions. They should even provide a narrative report routinely addressing anything that owners may be concerned about. They should be preparing these exception reports as a matter of course. Hence, they should focus on questions that the owner is likely to have. This saves time for everyone. 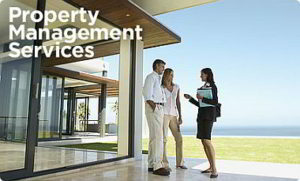 For about asset management and property management services , click here. Many residential rental property owners are focused on the income and expense side of the equation since this is the primary cash flow that will impact their ability to pay all of their expenses associated with the property that they own. There is another element of property management that needs to be discussed. That is assets property management. Some units will be rented without furniture. However there may be the basics such as fridge, stove, microwave and possibly a washing machine and clothes dryer. There will be screens on the windows, lights, faucets, toilets and chandeliers. This may seem extreme in terms of asset management. Some property owners have found much to their frustration that these things are missing when they come to inspect after the tenant has moved out. At the other extreme, some rental units will come fully equipped with furniture. Beds and bedding, kitchen utensils and basically everything that a person needs to live. All you need to do is bring your clothes. This is a far more complex asset property management situation. As a result there are a lot of items to inventory and keep track of. Tenants look for cleanliness and good quality utensils, clean linens as basic requirements. Property mangers often hire cleaners to go in after tenants leave to clean the place. They will make the cleaning fee a part of the charge for renting the property. In addition to whatever is charged on a per month or daily basis. Track assets for tax purposes for deductions and depreciation purposes. Ensure nothing is stolen when tenants leave. Contract property managers to track all of these items on behalf of a owner client. Or the owner client may track these things themselves. 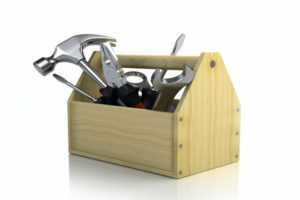 Use proper tools if the property manager is responsible for this element of asset management. In addition they must record the date of purchase or the date first entered into the record. Also the value of the item and a description of the item all linked to the unit that this asset is located in. Record all additions and removals as well. Some property managers will perform the function of asset property management informally and use a camera to record everything and perhaps focus on the major items in the home. Others may perform and maintain a very detailed asset property management function. Evaluate the benefits of a detailed inventory vs. the cost of maintaining such an inventory. Most companies will focus on the major items and leave the details of smaller items to the owner. 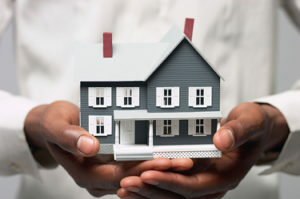 However asset property management is extremely important for tax related reasons. Write off assets against income either from a depreciation perspective or from a total write off perspective. Year end reports will cover income and expenses for the property. These same reports will also show the total value of assets at the beginning of the year, the additions and deletions during the year and the final total assets at the end of the year. Owners and clients will monitor all of these reports as part of their ongoing management of the property and the services provided by the property management company. A rental manager for a large property management company spends a lot of time advertising for tenants, interviewing tenants, approving tenants and setting rent levels as well as defending those levels to tenants and government authorities in jurisdictions that have rental controls in place. One of the worst nightmares that a rental manager can have is to rent to a bad tenant. They cause a lot of damage, do not pay their rent and it is hard to get rid of them. Screening of tenants is one of the most important things that a rental manager can do. Rent levels have to be set based on market conditions. Also the type of tenant you want in your building, the amenities that are offered in your building. As well as the occupancy rate for your building. Rental managers must take all of these conditions into account when setting rental levels. They offer discounts in some cases to tenants as enticements at various times. Low rents may attract the wrong type of tenant which means you get people who are not good at paying their rent. They do not have pride in the place they live. High rents can sometimes mean that units stay vacant for a longer period. You do not have the rental income. But then you do not have the damages either that many people cause. Some governments have in place rental controls to avoid rent levels from increasing too fast. They will have prescribed increases that are approved each year. The rental manager must be able to justify their increases and show that they are within the level that has been prescribed by the government regulations. If the rent increases will be larger than allowed, sometimes they can be approved. However substantial documentation must be provided to substantiate the increases that are above the allowed limits. In addition the expenses must be covered by the rental income. There is a balance between income and what can be spent each year in terms of regular expenses to operate the building, maintenance, upgrades and a reasonable profit. This also must be taken into account by the rental manager when setting the rental rates for the coming year. This is a significant balancing act that most rental managers must deal with in addition to dealing with tenants, reviewing applications and setting contracts / leases for units. There are good and bad tenants at all income stratas. The trick is to pick out the people who will always pay their rent on time and take care of the place they rent for you. No one wants a deadbeat renter. You even have to be careful of rental managers who will say nice things about tenants merely to get them out of their building because they are in fact a bad tenant. This actually happens much more than you think. Take the time to screen tenants and always use a screening service. The service may cost you some money, but it will be worth it in the long run when you avoid a lot of damage or lost rent when they skip town and do not pay their rent. This is money well spent. In one case we know of, a couple applied to rent an apartment and were in a bad credit situation. They had over 20 credit cards and were not making he payments on these credit cards. Can you imagine if you rented to them. What do you think the chances are that they would be able or willing to pay you the rent check on time? There is very little likely hood that they would pay your rent and then you would be facing court costs to get rid of them and collect what is owed to you. For more property management topics, click here. Property management training can be learned on the job and in the classroom. There is nothing like on the job training for many professions, including property managers; however no one wants to pay for someone to be trained on the job and have to live with their mistakes. Most property managers will take a variety of courses these days to certify them for property management and to ensure that they understand the basics of what it takes to manage a building and all of the associated tenant issues. A well-trained property manager can save you thousands of dollars in better tenants and reduced expenses! Better tenants cause less damage and some will even spend small amounts improving their units in return for great service and good relations with the property manager. Property management is also much more than just dealing with maintenance of various components that are required to keep a building safe and operational. There can be a lot of interaction with clients. This interaction can be with the owners who want status updates, who want see that their money is invested wisely and spent in a manner that makes sense for them and the tenants. Above all they would like the opportunity to continue making a profit going forward in time. There is also a lot of interaction with tenants as well. In one respect the property manager is representing the owner. They are the interface that the tenants see possibly every day. Their frustration etc with owner policies can be taken out on the property manager. The property manager is also the guy who can help the tenants with a lot of minor issues. Which enhances the reputation of both the owners and management. It is the property manager’s job to interpret the guidelines imposed by the owner. They must apply them to many different situations that may arise with tenants and with the building he or she is responsible for. In many cases property management must also be a people job. With all of the interaction with tenants, owners, various trades that come to the property to do some kind of work and guests of the tenants, property managers need to have excellent people skills as well. Diffusing a situation that could erupt and involve all tenants for example can make for a far more harmonious workplace. Property managers must be good at dealing with and managing people without getting everyone upset. Another area that property managers must pay attention to is local laws and bylaws. They might affect the day-to-day decision-making when it comes to dealing with tenants, trades and city inspectors. Most people do not even realize that in some cities there are bylaws covering a multitude of issues. As a property manager it is your job to be aware of those that may affect your job. Also the building you are responsible to manage. If you decide to move to a new city to take a property management job, get to know all of the local bylaws. At the very least, spend some time reviewing the major ones that could get you or your owners in a spot of trouble. For a lot more posts about property management topics, click here. Property management maintenance is so important for owners as well as renters and most of the time neither is completely happy. It is never good enough. Owners feel that the maintenance costs too much. That renters are damaging their property. They just do not care enough to take good care of the building they live in. It is a fine line. At the end of the day, there must be enough money to pay for everything and still make a profit for the owner without totally gauging the tenant. Caught in between is the property manager. They must work to find a balance between both parties without spending more money than what they need to. Sometimes he or she will assess the tenant for obvious damages. Sometimes they will delay minor repairs to group several together. They can save money by only having one service call. And sometimes they will delay major maintenance by using temporary measures. But the property manager ultimately works for the owner and is the owners representative on the property. It is the property managers responsibility to implement the policies and guidelines of the owner. At all times they must use their best judgement in many different situations. Making matters worse is the government. Which regulates how quickly you can raise rental rates to pay for increasing taxes, interest rates and property management maintenance. These all go up almost every year. Building a budget that factors in these increases. The rent increases sometimes will help property managers and the owners keep a building looking great for many years. In fact budgeting for repairs and building up a fund to handle emergencies and major repairs is just sound business practice. Rental properties are some of the most difficult buildings to manage from a maintenance perspective for many of the reasons mentioned above. In addiction, for rental buildings there usually must be two separate and distinct budgets. Set up a budget to manage all tenant related expenses associated with the units that are being rented. This would include any repainting, carpet cleaning and repairs after a tenant moves out. If the repairs are normal wear and tear, then the owner must absorb these costs out of the general revenue for the property. Appliances only last so long. Carpets need to be replaced. Damages must be repaired for and paid. Usually prior to collecting anything from the tenant. This all must be accounted for and included in a budget. They must pay for them prior to collecting from the tenant. Set up a second budget for the building itself. This would include all common expenses. It may also include cleaning, window washing, common lighting, snow removal, garbage removal, repairs to the roof or windows and so on. Some of these expenses are operational in nature in that they occur on a regular basis weekly or monthly. A roof replacement is a good example. In addition, ideally money should be set aside every year to handle all major repairs such as this. In some locations, budgeting for these expenses is in fact part of the bylaws of the building. There is a lot of responsibility for property managers. They are accountable for everything that goes on at the building they are managing. Hire an excellent property manager who has experience. They should have a good relationship with all parties will make a huge difference with everyone.